To allow users to view reports, they must be granted appropriate permissions. The rights to view reports, like any other rights in Adaxes, are granted with the help of Security Roles. To facilitate delegation of permissions, reports are assigned to categories. So, you can allow users to view all reports that belong to a category, rather than a specific report. Right-click Reports and click Properties. The dialog that appears allows viewing and managing report categories. Categories include not only reports, but also report overviews. It means that with the help of report categories, you can also distribute permissions for overviews. 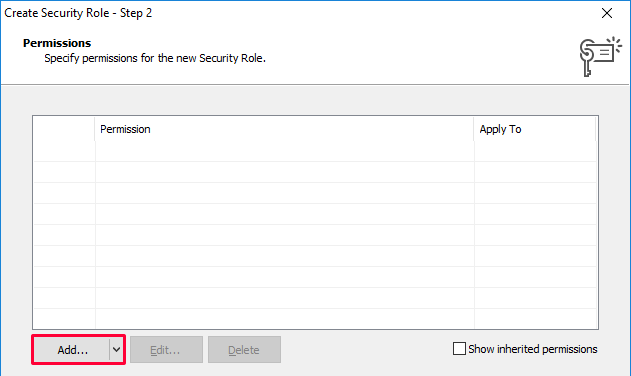 To allow users to view all reports, select the View All Reports permission in the Allow column. 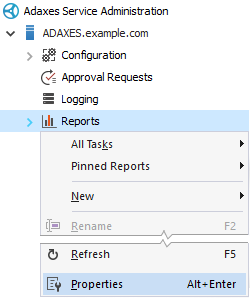 To allow users to view only reports that belong to a specific category, type the category name in the filter edit box located in the General permissions section. Then, select the Allow option for the category you need. On the Assignments step, click Add. 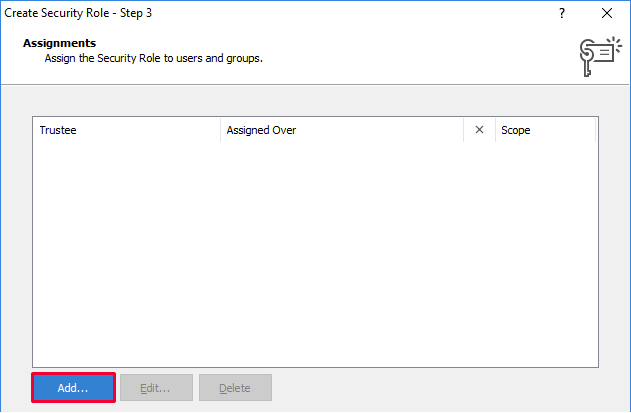 In the wizard that appears, select the users and groups whom you want to assign the permissions to. If the Finish button is disabled, click Next, then select Configuration Objects.